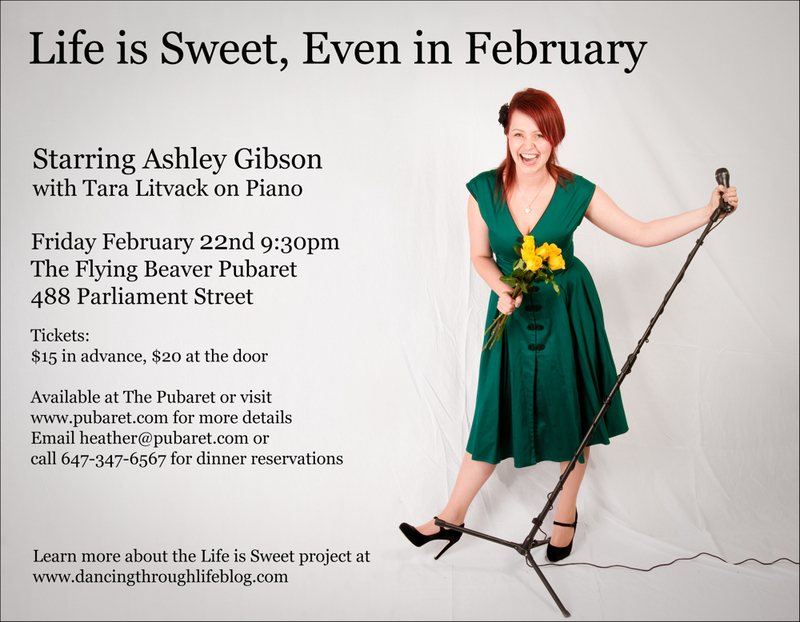 Ashley Gibson is an active performer and blogger whose first solo show is about more than shining a light on herself and her own talents. Her objectives for a multi-faceted project this February include honouring her mother’s memory and raising awareness and encouraging dialogue about mental illness. 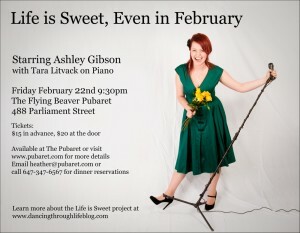 contemporary musical theatre numbers, the Life is Sweet project will turn her blog into a forum for guest writers who will share their accounts of mental illness, depression, and loss. Proceeds from the show’s ticket sales will be donated to the CAMH Foundation. Posted on February 3rd, 2013. This entry was posted in Musical Theatre and tagged ashley-gibson, cabaret, depression, mental-illness, toronto. Bookmark the permalink.